Almost 4 hours of music on 3 discsÑsuper-compelling, undiluted, stripped-down gospel! The majority of this music has never been reissued on CD, or in any other form (most tracks were originally released on regional independent labels). Most post-WWII compilations of African-American gospel music naturally concentrate on the astounding quartet and solo vocalist sounds made during the musicÕs Golden Age. Fire In My Bones attempts to address and collect more neglected sounds from that era (and on to the present day). Dozens of traditions are represented. Some go back hundreds of years while others seem to have been arrived at as soon as the tape began to roll. Field recordings and studio tracks are all mashed together, with solo performances next to congregational recordings, hellfire sermons next to afterlife laments. Leon Pinson, Elder & Sister Brinson & the Brinson Brothers, Grant & Ella, Straight Street Holiness Group, Theotis Taylor, Brother & Sister W B GrateÑthese artists will now be just a little less obscure. 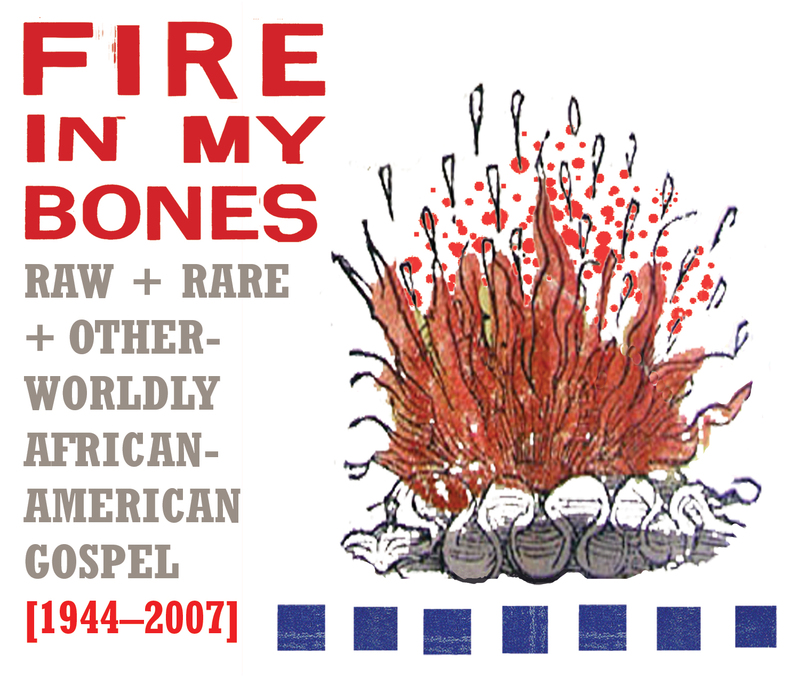 Fire In My Bones provides a small peek at the incredible diversity and power of post-war black gospel. Much of this music is raw, distorted and might sound a bit strange. But it is not presented as a novelty freak show or as Òoutsider music.Ó This is gospel-which we must always remember translates as Òthe good newsÓ-as it has been sung and performed in tiny churches and large programs, from rural Georgia to urban Los Angeles. It is clearly among the most vibrant, playful, beautiful and emotionally charged music in the world. Produced by Mike McGonigal. Package by Susan Archie.